Dr.Lundgren has recently installed the Sirona Galileos 3D imaging machine. CBCT has become increasingly important in dentistry. It assists in diagnosis, assessment, and specialized treatment planning. It also helps to evaluate microscopic cracks in teeth, extra canals, and unusual anatomy. The scan is noninvasive and in many cases can eliminate the need for exploratory surgery. A CBCT is a compact, faster and safer version of the regular CT. Through the use of a cone shaped X-Ray beam, the size of the scanner, radiation dosage and time needed for scanning are all dramatically reduced. The time needed for a full scan is typically under one minute and the radiation dosage is up to a hundred times less than regular CT scanner. 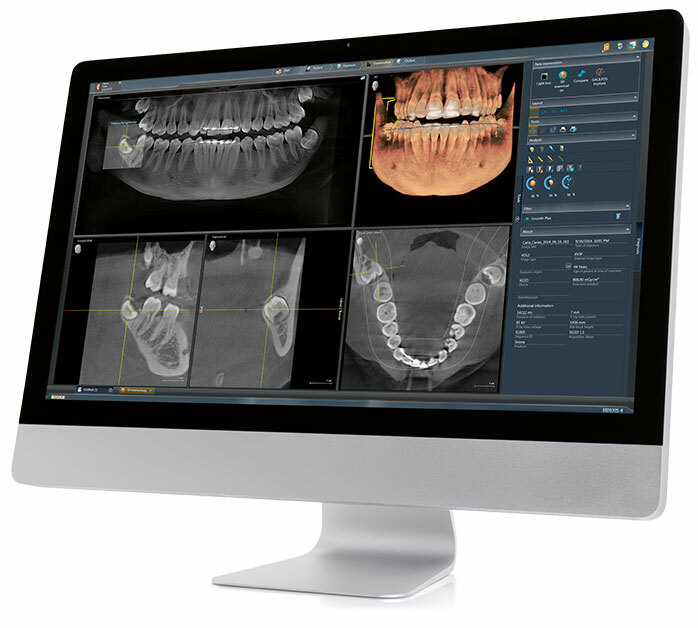 We use an advanced non-film computerized system, called digital radiography that produces radiation levels up to 90 percent lower than those of already low dose conventional dental x-ray machinery. These digital images can be optimized, archived, printed and sent to other dental and health care providers via e-mail or diskette. We use a small electronic device called an electronic apex locator that helps us determine the appropriate length of the canal. By using an apex locator, we take far fewer x-rays, thus reducing patient radiation. Integrated systems allow the endodontist to perform procedures in the most efficient manner, giving the patient maximum comfort and quality of care.